Help a little girl get much needed treatment. Everybody is invited to show their support for eight-year-old Anabelle on Sunday 15th October and help raise funds for treatment for her brain tumour. The charity day includes food stalls, childrens shows, raffles and much more. 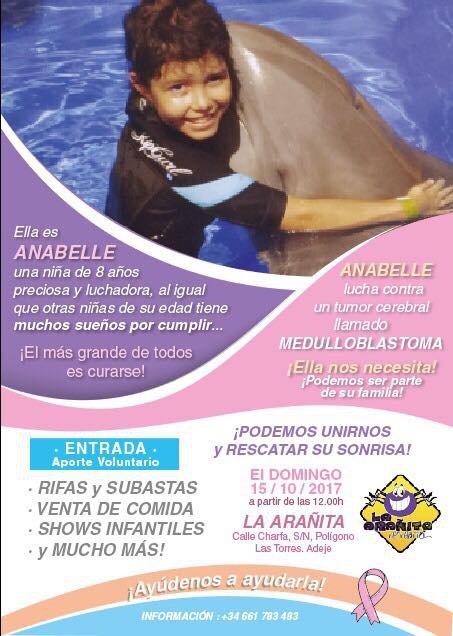 Come along to La Aranita in Adeje and join this incredibly worthy cause.